as part of the Hamilton Winterfest 2015 Kick-off Event curated by Tara Bursey entitled On The Waterfront! Text Tone is on display on February 7th, 2015, at Pier 8 in Hamilton! Come out and enjoy projects and events by a bunch of talented artists and coordinators! Text Tone is an interactive mobile phone based sound installation that decodes text messages sent by the audience into touch-tone keypad audio compositions. In 1878 in Hamilton, Ontario, Hugh Cossart Baker, Jr. established the first commercial telephone exchange, making Hamilton the first location in the British Empire to have a publicly accessible telephone network. Prior to this, telephone networks commonly consisted of direct lines from one specific unit to another, and this development therefore allowed the populace to use a device to contact more than one person for the first time. Despite this increase in function and accessibility, the luxury of the telephone was primarily for wealthy households and businesses, up until the 1920’s. Yet now, these technologies have evolved to become widely accessible for many individuals, and much of our personal behaviour, lifestyle, business practice, and overall relationship with information is mediated through instant electronic communication. From rotaries to push-button touch-tone keypads, to touch-screen smartphones with keyboards, these interfaces have undergone many changes over the years. Due to the phone’s origins as a speaker and microphone device, the touch-tone keypad‘s primary function was almost exclusively to input phone numbers for voice calling. As the phone has evolved into a form of mobile computing, the incorporation of a keyboard has become essential, and components of older forms of this technology have lost their necessity, such as the sounds of numbers being pressed while creating letters during the spelling of words or texting. In commemoration of the evolution of the function and accessibility of these technologies throughout the years, Text Tone invites its audience to participate in examining how once-familiar communication behaviours are becoming lost languages to be unlearned through obsolescence. 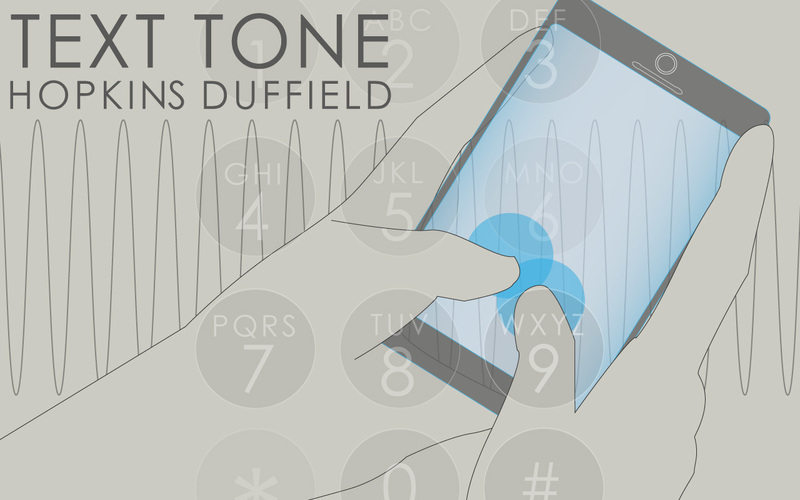 Text Tone explores how obsolescence is created by the needs of our evolving communication habits, and correspondingly, how advances in these technologies have the power to influence our habits all on their own. To be on the waterfront is to be on the threshold of something. The waterfront is where settlers landed, and early trade took place. In the 19th Century, the area surrounding Pier 8 was home to some of the city’s first industrial sites, including an iron works, boat works, sail loft and glass company. In On The Waterfront, local industrial sites and history serve as points of departure for contemporary artists from around the region. Evocative outdoor installations will draw on skills, materials and forms associated with early industry as well as the social history of the North End neighborhood. This exhibition will consider Hamilton’s waterfront as a site of historical significance, tension and possibility, as well as a place where past stories and dreams of the future collide.